Daniel Paul Schreber (1842-1911) came to prominence as one of history’s most famous madmen in the wake of Sigmund Freud’s “Psychoanalytic Notes Upon an Autobiographical Account of a Case of Paranoia.” Published in 1911, Freud’s case study psychoanalyzes Schreber’s Memoirs of My Nervous Illness, a detailed account of the German Judge’s psychotic breakdowns in which he battled against numerous antagonists, including everything from God and the Devil to his own body and lexicon. Since then, Schreber’s remarkable, uniquely lucid account has leaked from the psychiatric world into literary and popular culture. Postmodern theorists, for instance, have used him as a means to critique consumer-capitalism, explore the dynamics of modernity, and foretell the Nazi ascension, whereas filmmakers such as Alex Proyas have science fictionalized Schreber’s experience, representing him as a product of technologized subjectivity and desire. Schreberfiktion, an evolved SF—this is the subject of D. Harlan Wilson’s case study, which is at once about, around and beyond Memoirs as well as the many secondary texts it has engendered. As the formerly make-believe aspects of the science fiction genre continue to materialize in the real world, Schreber’s pathology becomes more and more relevant; his imagination and intellect, his anxiety and dread, his solipsism and megalomania point to the pathological unconscious that animates contemporary technological society. 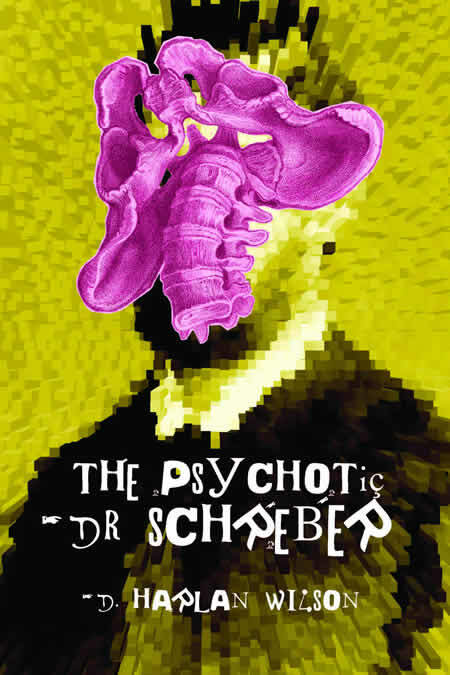 Thoroughly researched and transgressive, The Psychotic Dr. Schreber is part speculative (anti)fiction, part (auto)biography, part theatre-of-the-absurd, part writing tutorial, part literary nonsense and criticism. Wilson riffs on and satirizes post-everything, signaling the inevitable death of the reader and rebirth of the real. Science fiction explored the effects of the New in the Next, the Near and, in some cases, the Now. Galvanized by Schreber, this book maps the next stage: the New in the Never.